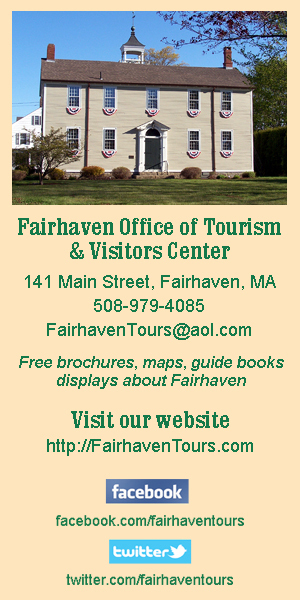 The Fairhaven Selectboard and the Planning Board held a joint meeting on Monday, 7/16, to fill a vacancy on the Planning Board. Initially, the seven members of the PB and the three members of the Selectboard came to a tie. Five votes went to Marcus Ferro, an attorney and real estate broker; and five went to Jay Malaspino, who works in construc­tion, and said he was familiar with building plans. The conundrum only lasted for a few seconds, though. While the board members and Town Administrator Mark Rees mulled over what the tie-breaking procedure should be, PB member Ann Richard changed her vote from Mr. Ferro to Mr. Malaspino. In the end Mr. Ferro received four votes: from Selectboard member Charles K. Murphy Sr.; and PB members Cathy Melanson, John Farrell, and Geoff Haworth. Mr. Malaspino won the slot with six votes: Selectboard members Daniel Freitas and Bob Espindola; and PB members Wayne Hayward, Rene Fleurent, Jeff Lucas, and the switched vote by Ms. Richard. Ironically, Robert “Hoppy” Hobson was in the room, waiting for his turn on the agenda, to ask the town to pay his attorney fees arising from the tie vote for his seat on the Board of Public Works in April. Mr. Hobson told the board that he received a bill for $1706.00 from his attorney, but that it was the town’s fault that he had to go to court to settle the tie in the first place. Therefore, he contended, the town should pay the bill. In a split vote, the board decided to pay $1,000 of the bill, if Town Counsel Thomas Crotty said it was legal to do so. Mr. Hobson has stated all along that it was the town’s mistaken advice that caused him to incur the fees, and that, as a town elected official, he was entitled to representation. What happened in April was a comedy of errors. Mr. Hobson had collected signatures to ask for a recount, but was told that a tie would be decided by a joint meeting of the BPW and the Selectboard. He did not submit the signatures, thinking he had a good chance of winning that vote. The next day, after the deadline had passed for filing for the recount, he was told it would be a vote of only the Selectboard because of the special act that created the BPW. The act, however, does not specifically address a tie. So the court had to order the recount, which it did. As the back and forth ensued on Monday, about whether the town could or should foot the bill, Mr. Hobson said he would sue the town in small claims court, which would cost them a lot more for Mr. Crotty to represent them. “I didn’t make a mistake,” said Mr. Hobson, the town did, and noted the irony of the board needing the opinion of Mr. Crotty who “screwed it up” in the first place. If Mr. Crotty says it is legal to “settle,” for the $1,000, that will be the end of it. If not, the matter will, no doubt, appear before the board again. In another matter, Alex Sylvaria addressed the board about his Eagle Scout project in Little Bay. He plans to remove the roof of the stone building at the end of Little Bay Road, along the bike path extension, clean up the area around it, and add picnic tables, so the area can be used as a recrea­tional area. Now it is a hazard, with the roof at risk of collapsing, and debris and overgrown vegetation around the site. At a previous meeting, some residents opposed the plan, saying it was a magnet for vandalism and fixing it up would make it worse. All three Selectboard members, however, voiced their whole-hearted support of the plan. Mr. Sylvaria said he had already received donations, including the donation of a dumpster. He told the board he hoped to start on July 27. “I think it’s a great idea,” said Mr. Murphy. Mr. Espindola clarified that the roof would not be replaced, just removed to make it safe for people to walk in and out of the building. The building inspector has already declared the stone structure sound. Selectboard chairperson Daniel Freitas also agreed it was a good idea, and said people using the bike path can use the area as a rest stop. Frank Coelho, who previously voiced reservations about the project, told the board he was in favor of the plan, which had also been discussed at a Board of Public Works meeting. The BPW has jurisdiction over the site. The board voted to support the project, although there was some confusion over whether or not the project had been halted by the BPW. Hoppy’s Landing was also on the agenda, although the part about signage got postponed because Harbor­master Tim Cox was not present, and he had all the information about signs. There is some confusion about where people can park for free, when they can park for free, and what activities they can be engaged in to get out of the parking fee. Incon­sistency and confusion seemed to rule at the site, with some people getting tickets and some not. Everyone seemed to agree that anyone using the boat ramp, hence with a trailer on the vehicle, needed to pay. The question is whether or not those not using the ramp, but park and walk away, should pay. Should they pay if they walk only on the property, or if they walk down the street, too? And, what about those who park there and then leave on a fishing charter boat or a recreational boat and are gone for hours? The board needs to come up with a comprehensive parking policy for the site, and create signage to support the rules. Mr. Freitas said that he had received calls from people saying they were told not to park without paying, or told to move their vehicles. He said only someone wearing a town uniform, or driving a town vehicle has the right to tell people where they can park. Mr. Freitas said it was “harsh” for someone to get a ticket if they just parked for a while to go walk a dog, sit at the picnic tables, or just watch the boats. He said he was willing to entertain options including specific areas that would be free parking or specific times that would be free. “So, I’m looking for ideas,” said Mr. Freitas. Mr. Hobson told the board that people often ask him if it is okay to park, and he has heard them ask other people. He tells them, he said, that they run the risk of getting a ticket. He repeated his complaint that during the day, people might get a ticket, but anyone can park at night and go to the West Island Marina’s entertainment across the street, and not have to pay, and not get a ticket. He also reminded the board that three-quarters of the money to buy Hoppy’s Landing (from him) came from the state, so they may have a say in it. In any case, his point was that it should be the same for everyone. Mr. Freitas noted that the Pease Park boat ramp requires a sticker for vehicles with trailers, but everyone else parks there for free. Mr. Coelho noted that signs had come down in the wind and had not been replaced at Hoppy’s Landing. He said out of towners and those not familiar with the workings of a boat ramp needed to see signs to direct them, even if it did seem like common sense to the locals. He noted that a few times people had parked too close to the boat ramp, making it hard for boaters to use. The board will discuss it again at a future meeting.